A cow/calf pair are shown in Rock County, Neb. Beef bubble about to burst? Drought in the southern plains wiped out winter grazing areas and pushed up placements in cattle feedlots in Nebraska by 15 percent in October. Calves that normally would be in wheat pastures in Kansas, Oklahoma and Texas are lining up in large numbers at Nebraska feed bunks for the winter at much lighter weights than normal. And the long-term implications of a cattle on feed report earlier this month look worrisome for meat producers, meatpackers and meat eaters. There was no hemming and hawing from Jeff Stolle when he was asked about the likelihood of higher beef prices in food stores. "Without a doubt," responded the Nebraska Cattlemen's vice president of marketing. In the short term, Nebraska boosted its feedlot numbers even as the comparable national number dropped by 1 percent in the latest update from the Lincoln office of the National Agricultural Statistics Service. But the long-term outlook suggests a much tighter supply of calves for all major cattle-feeding states, including Nebraska -- usually second in that category to Texas -- because the southern drought deepened a dilemma in which cow-calf numbers nationally were at their lowest point in decades. Feedlot operators already are selling cattle to meatpackers at record prices. But they're also paying record prices for short supplies of replacement calves. "They've got record prices, and cattle feeders still can't make any money," said John Harrington, a Hastings-based livestock market analyst. Meanwhile, Harrington estimated that meatpackers lost as much as $40 million nationwide just in the last week. "They can't sell meat high enough," he said. "They're kind of caught between." The $40 million figure is the multiplier effect of losing $60-$70 a head on the 636,000 head slaughtered for the week. But that situation will correct itself and higher prices for steaks, roasts and other mealtime mainstays will show up soon enough, Stolle said. "The trend at retail will have to remain higher," he said, "if we're going to remain at these kind of levels and with overall supplies being as tight as they are. What I see going forward, in a general sense -- positive margins will be very difficult to come by at every stage, with the exception of cow-calf." Cow-calf producers in the Nebraska Sandhills benefit from tight calf supplies and because they're using mostly grass and hay, not much more expensive corn, to put weight on their latest calf crop. 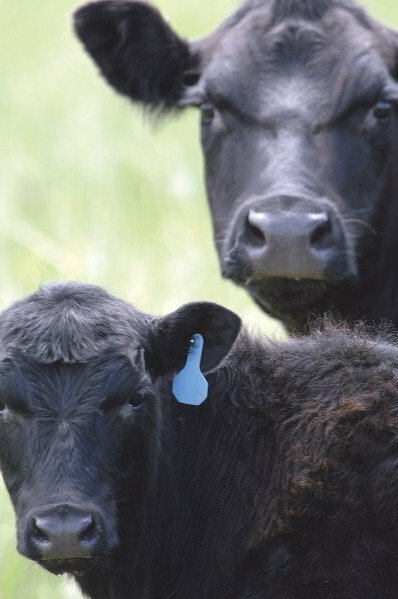 In a more normal situation, monthly cattle on feed reports show cattle on feed, placements and marketings in Nebraska moving in the same direction and generally at the same pace as the national numbers. But Harrington is more interested in what's ahead for everybody than in what he sees as a temporary blip. "We're going to be way down on feeder supplies to place cattle in November, December, January, February and March," he said. Seeing Nebraska going way up on placements as the rest of the country slips lower might seem strange, he said, but the pattern for the next 4-5 months "is going to look even goofier." He predicts "in December through March, we could see double-digit declines" in all cattle feeding states. Stolle laughed when it was suggested that feedlot operators had gotten used to the $1,000 cost of one feedlot calf even as consumers remain oblivious to that figure. "I don't think anybody is used to it," he said. "It's downright scary, is what it is."